Sydney is on the Pacific east coast of Australia. It is a modern and vibrant city, with exciting nightlife, restaurants and shopping as well as cultural heritage. You can go online and book your motorhome or campervan rental before you travel; then pick up the keys from your Sydney motorhome rental, campervan hires and recreational vehicles (RV) branch. There are holiday parks and caravan and camping sites that will accept motorhomes, campervans and recreational vehicles with truly amazing locations and facilities throughout Australia. The roads in Australia are wide open and straight, making a self-drive holiday in a campervan rental quite comfortable; especially as you can sometimes need to cover a long distance in a single day. Starting from your Sydney campervan hire and motorhome rental location, you can choose to travel north or south. First you might want to head inland a little and explore the Blue Mountains; including the stunning Three Sisters rock formations. Take a drive along the Grand Pacific Drive for the perfect road trip beside the 140-km of coastline. It is the perfect way for a laidback motorhome holiday as you can stop anytime, anywhere to explore little towns like Coledale and Bulli. ­­Visit the Royal National Park and drive through the winding road with views of the sun, sky and sea close to Wollongong and Kiama. A great stop over to stretch your legs is the Seacliff Bridge, a viewing platform where migrating whales can be seen. There are many signs to guide you along the way to make sure that your drive will be a safe and relaxing one. Other scenic routes to explore with your hired campervan include the Greater Blue Mountains Drive where 18 discovery trails and a network of National Parks can be found that make up the Greater Blue Mountains World Heritage Area; and explore the stunning Three Sisters rock formations. 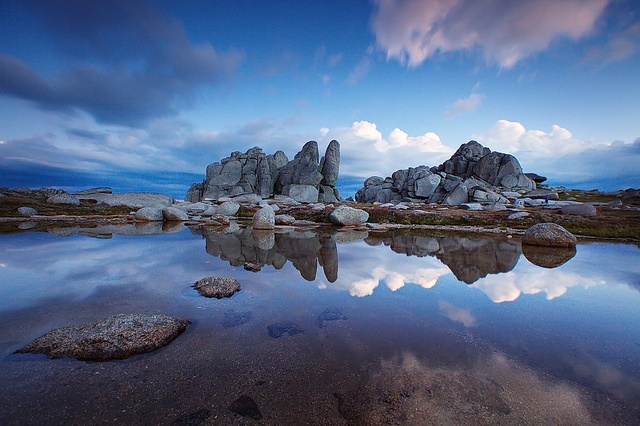 Another scenic drive is Kosciuszko Alpine Way, where your motorhome will breeze through 9 wilderness areas, snowy rivers and ski fields. The Waterfall Way, Poacher’s Way and Long Paddock drive are also picturesque drives to enjoy whilst exploring in your very own motorhome rental. Going south along the Sydney Melbourne Coastal Drive, your destination can be the city of Melbourne. Along the way there is a wealth of national parks and beaches to make detours in; including several inland salt-water lakes suitable for swimming. You will pass through a string of small towns, with possibly the most beautiful being the aptly named Eden. Take a picnic lunch to a high point and look down on the beach and glittering blue ocean below. The 5-hour drive from Sydney to the NSW ski fields will seem short as stop overs and rest breaks are eliminated when traveling in a campervan rental. Make Jindabyne your base as this has plenty of parking areas for your motorhome or recreational vehicle and this is also the gateway to the ski fields of the Snowy Mountains. Fishing, camping, horse-back riding and other water sports can be enjoyed here in the warmer months. Only 30 minutes from Jindabyne are the Perisher and Thredbo ski fields; where snowboarding and skiing are the top sports to enjoy during ski season. The great thing about renting a campervan is that your own ski paraphernalia will fit comfortably in the campervan; and can be placed there right when you pick out a motorhome hire from the Sydney motorhome rental depot. 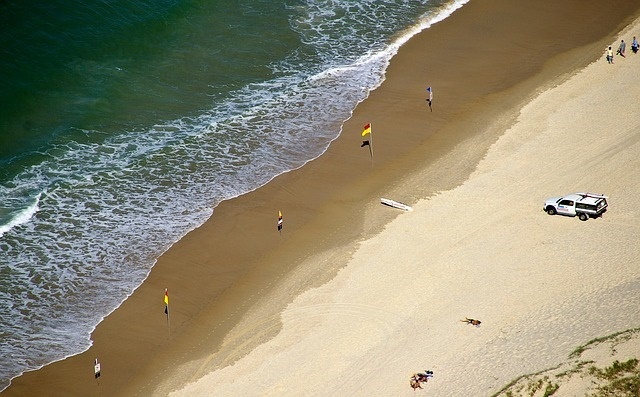 If you choose to go north from Sydney you will drive your hire motorhome along the Gold Coast; eventually reaching Brisbane city and on to the Sunshine Coast. On your way out of Sydney spend a night sampling the wines in the Hunter Valley Wine Region, Australia’s oldest. Then drive on to water sport adventures at Macquarie Lake. Following the coast road, you will soon reach Port Macquarie and the world’s only koala hospital. The World Heritage Dorrigo National Park features a rainforest skywalk – a must see for nature lovers. The entire eastern coast is a popular destination for locals and international visitors alike. Notable towns before reaching Brisbane city include Coffs Harbour and the ultra-hip Byron Bay. You may decide to continue your motorhome rental or campervan hire trip to the north-eastern corner of the continent and the city of Cairns. Now you are entering tropical Queensland! The Sunshine Coast road will take you through gold-rush towns such as Maryborough and whale watching at Hervey Bay. As the population becomes sparser, the unique flora and fauna stand out one of the main attractions, including the world famous Great Barrier Reef. Allow at least two full weeks, longer if you can, to make the drive from Sydney to Cairns. Sydney to Brisbane in two weeks will allow you to squeeze as much adventure, fun and relaxation in as you can stand! Most Sydney motorhome rental agents will allow you to return your hire RV at other motorhome rental or campervan hire locations in Australia including Melbourne, Perth or Cairns and continue on to your next adventure.